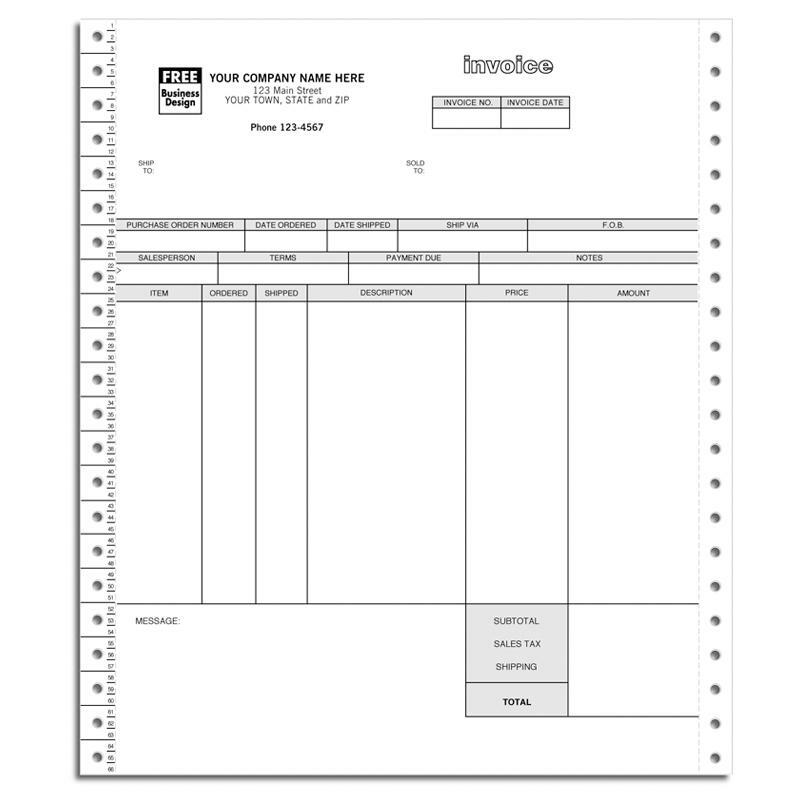 Custom continuous forms are printed in 1, 2, 3 and 4 parts. There are 2 general sizes, 9.5 x 11 and 9.5 x 7. You can create a unique design and we will be able to print it. We can number them beginning with a starting number of your choice. 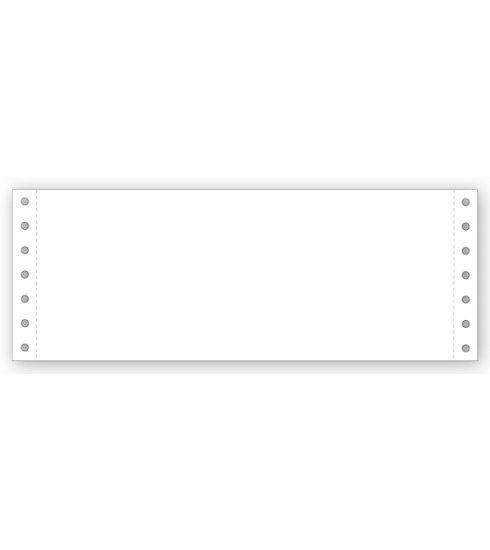 They are perfect for your dot matrix printer and will work with your computer program for easy printing. We can print on both front and back for multi-part applications, where the quality of the print on subsequent parts, is as good as that printed on the original. We can help with the custom design of your paper-work truly unique, especially where you have data that should not be transferred to some or all parts of the form. We do NCR or bond carbon, Pattern, Stripe & Flex Carbons, Desensitizing or Sensitizing Ink etc. 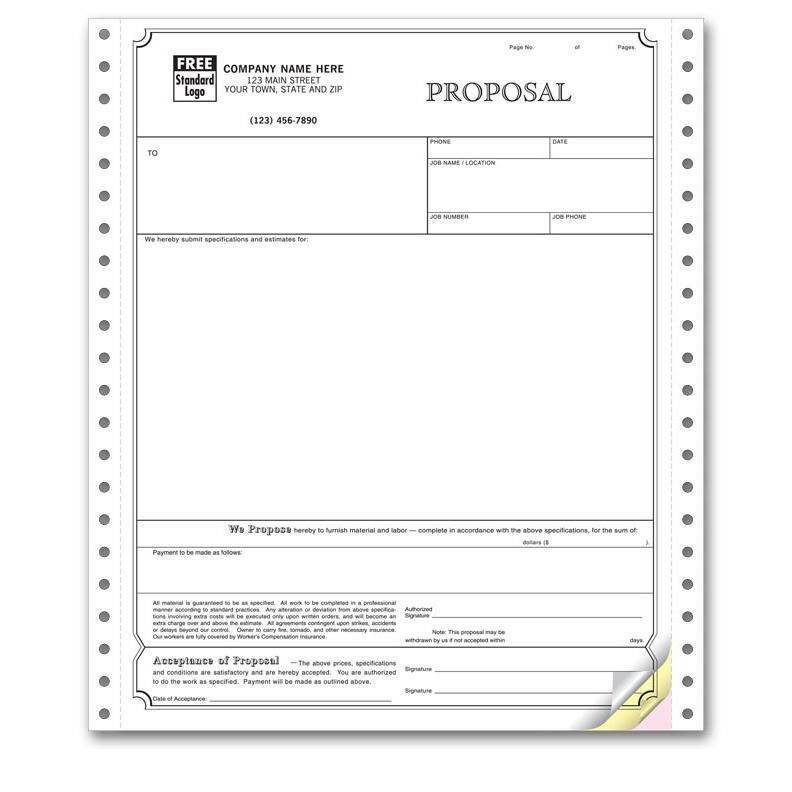 Send us a scanned or original copy of your own form and we will reproduce it for you at a discounted price. 1. Can you print Continuous Carbonless Forms in multiple colors? 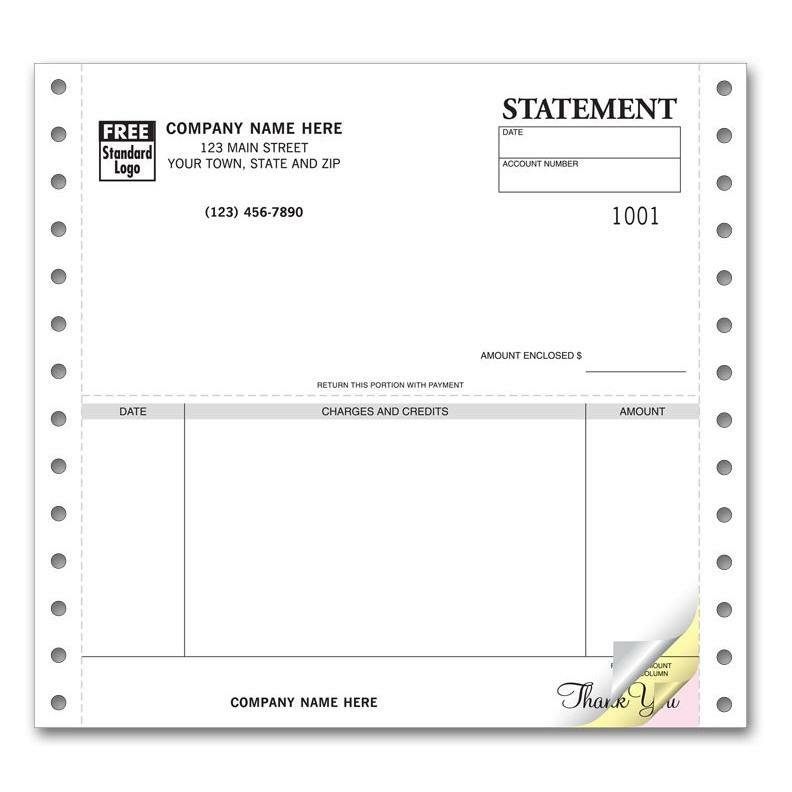 Continuous forms can be printed in many different colors including full color or 4 colors. 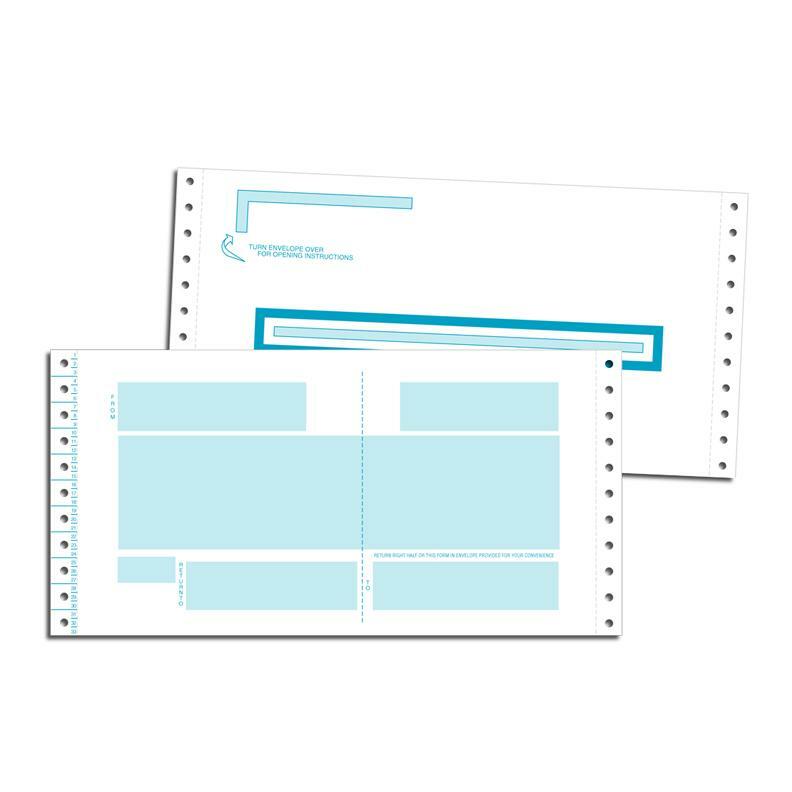 It may be important for certain sections of the form to be highlighted or differentiated. An effective way to do this is to print it in a different color ink. It may also be important or a company to maintain their company identity by printing the logo in the appropriate colors. 2. Can you print continuous forms in different sizes? 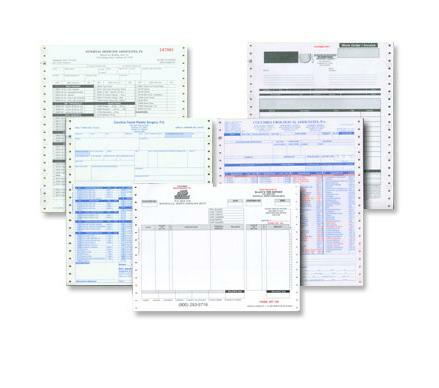 We offer pre-printed continuous forms in many different sizes, small and large. We are well aware that every business is unique and have different needs. We can customize the size of your form to a specific dimension that is in line with your business needs. 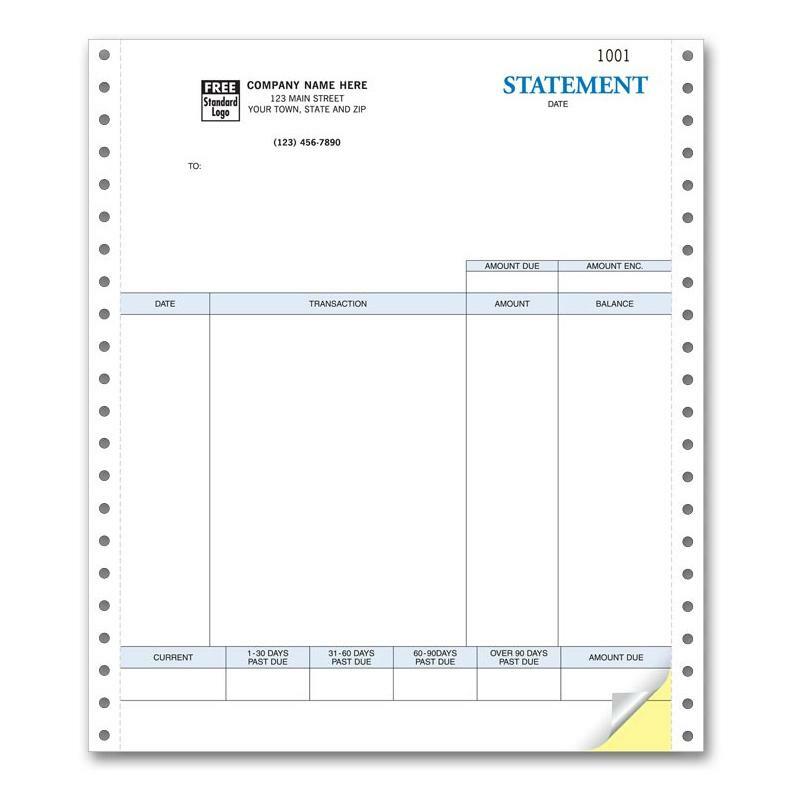 The standard size of the margins is about a 1/2" but this can also be customized. 3. Can each page of a continuous form be printed differently from each other? 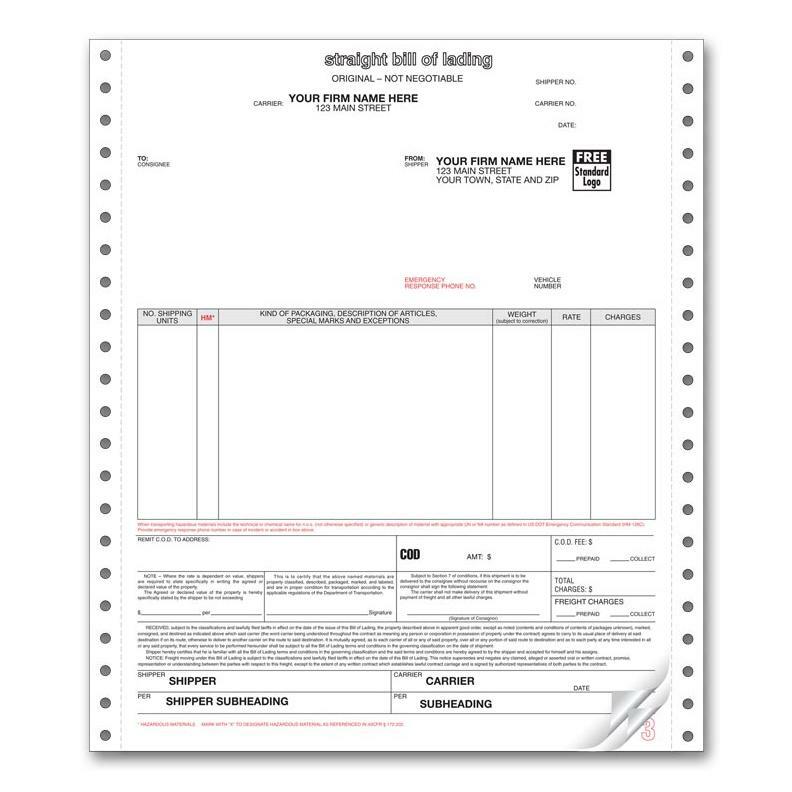 To print any page of a continuous form different from the rest will require a change of plate and this will also increase the price. 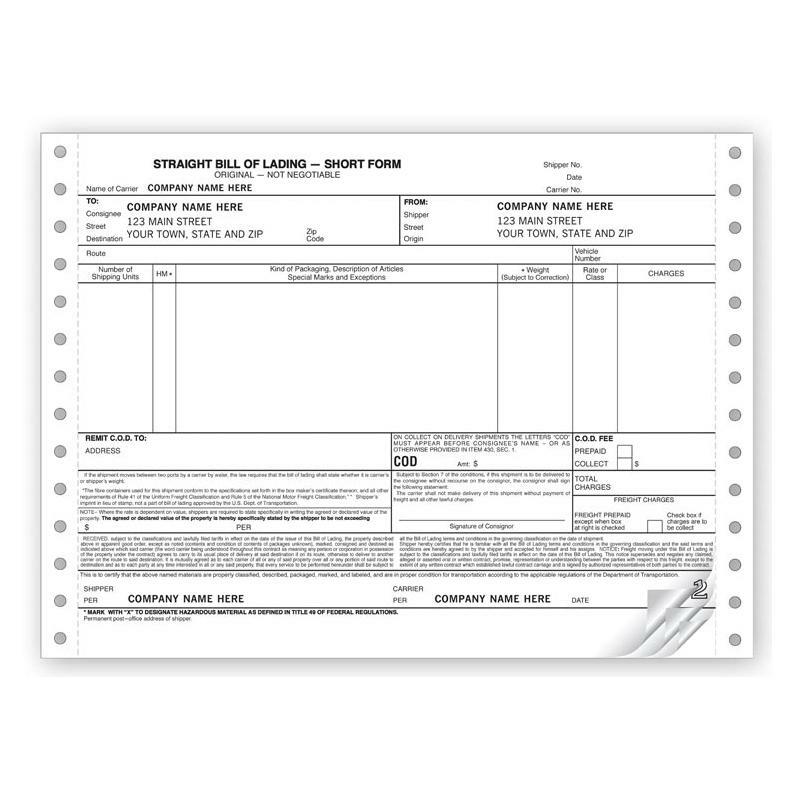 For example, certain sections of a form can be blocked out to create a packing list, an invoice, an estimate, work order, purchase order, or a statement. 4. 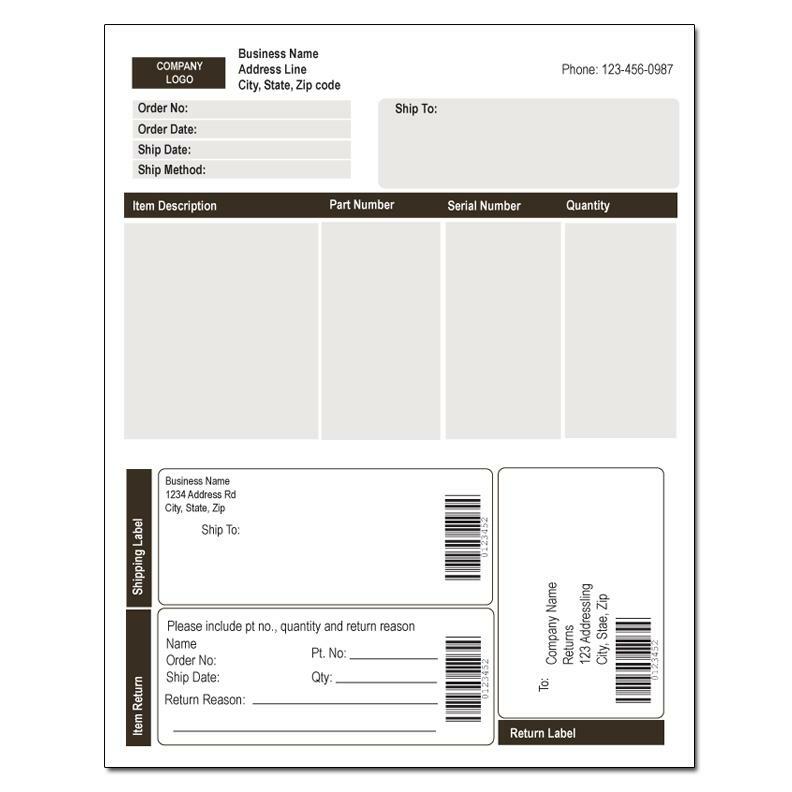 How can you custom print continuous forms? 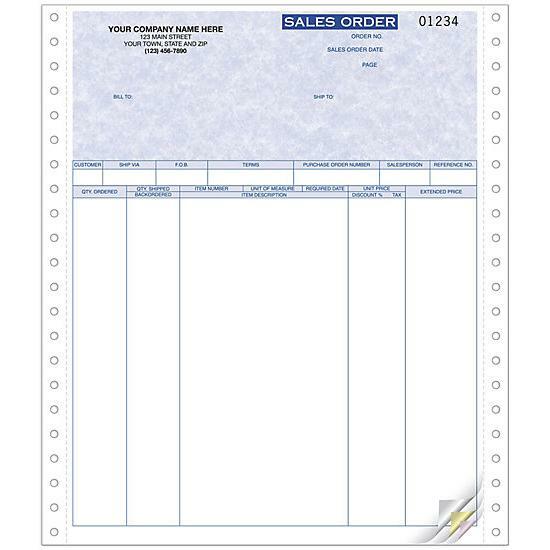 There are some businesses that require a customized continuous form to be used as a receipt, invoice, work order, packing list, or a unique purpose that is related to the business. The form is customized by creating a design or template with a set of lines (rows and columns) and text to gather the relevant information to make the paperwork effective. The customization of the form will also depend on the computer program being used. They can be used by wholesalers or retailer to sell products. 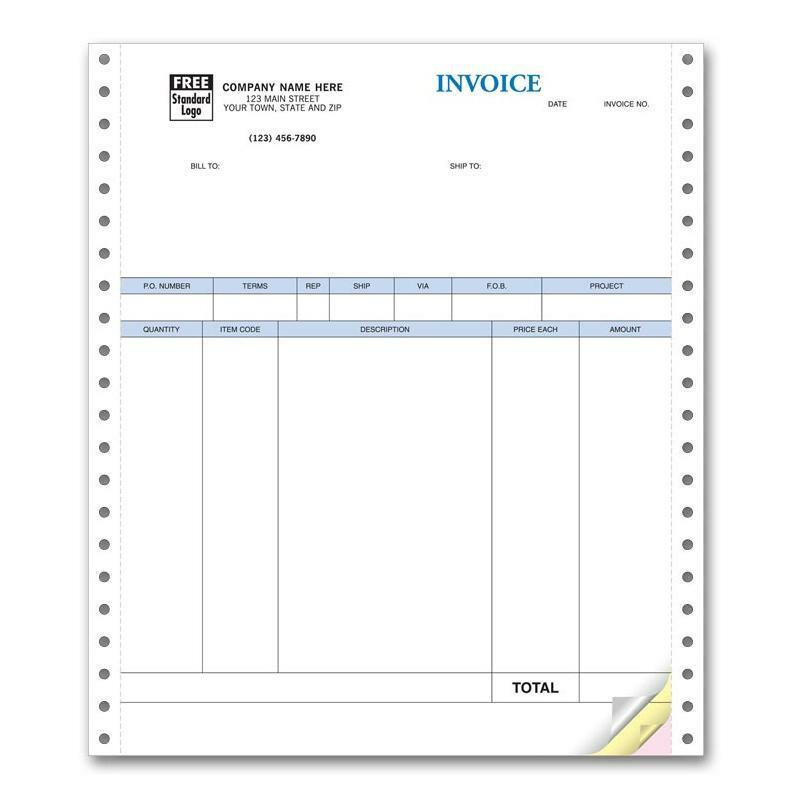 Such a form would be designed and pre-printed with areas including Bill To, Ship To, Date, Invoice Number, PO Number, Quantity, Item Code, Description, Amount, and Total. Continuous forms can also be customized and used in the production of products or as a work order for services rendered. 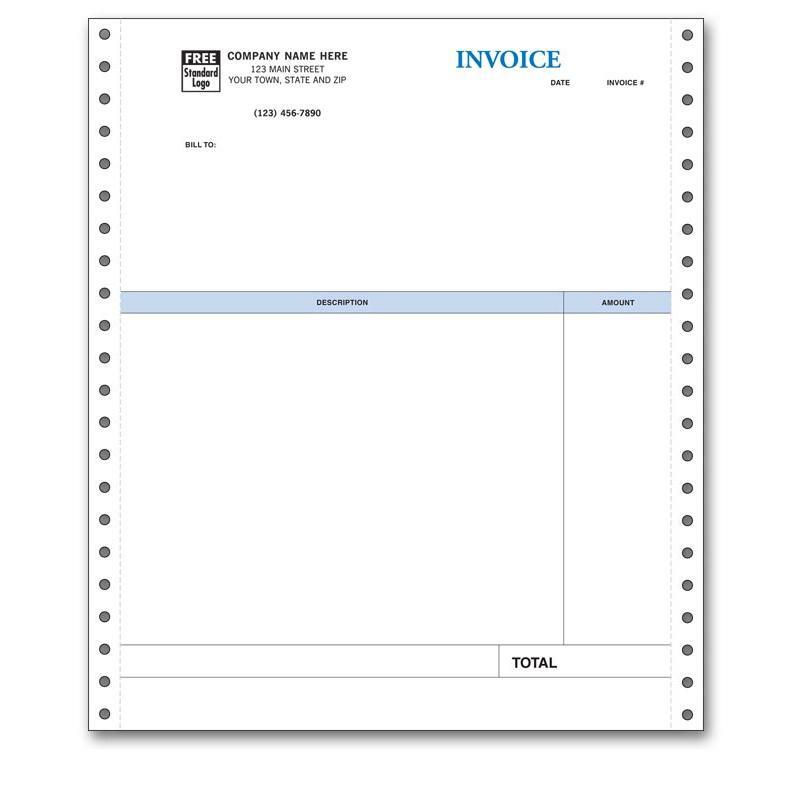 They are most commonly used as invoices but also very popular in accounting where they are used as statements, bill, or bank notes. Other Customization options include crash numbering, perforations, integrated products like labels or stickers, heavier paperweight, custom designs, collating layers, etc.